WELLINGTON, Florida-April 16, 2017-Orchard Hill defeated Audi 11-10 and Travieso took a 12-10 victory over Coca-Cola in the 2017 U.S. Open Polo Championship® at the International Polo Club Palm Beach (IPC). 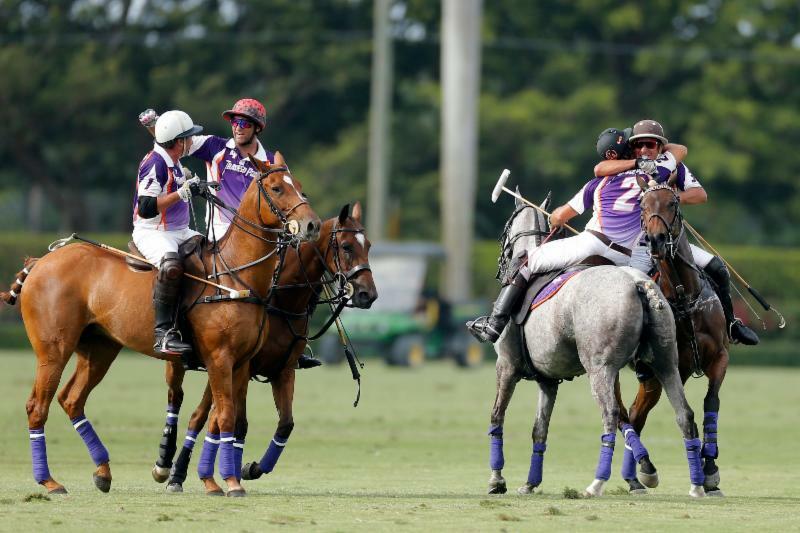 As a result of Sunday’s games the semi-final matchups April 19 will be Valiente vs. Travieso and Orchard Hill vs. Flexjet. After losing their initial two games in the U.S. Open, Travieso found their stride in their last bracket game against Orchard Hill last week. As they were hoping, it carried over to Sunday’s mini quarterfinal matchup with Coca-Cola. Throughout the game two distinct storylines emerged. The first was the number of opportunities Coca-Cola created throughout the game, juxtaposed with their inability to convert on those chances. After an amazing opening run by patrona Gillian Johnston to start the scoring, Coca-Cola would only make 3 of their next 12 shot attempts in the first half, allowing Travieso to stay in the game. The second factor was Coca-Cola getting into foul trouble throughout the game, handing opportunities to a Travieso team that was shooting 82% from the penalty line courtesy of Mariano Gonzalez. Gonzalez converted 2 of his 3 attempts in the first half to go along with one goal from the field, while teammate Sebastian Merlos also added two goals from the field. Travieso survived the first half trailing by a single goal (6-5). 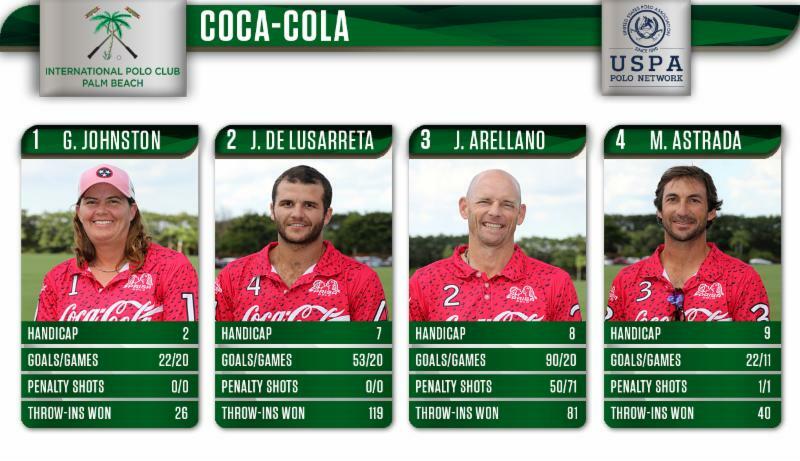 The fourth chukker was critical for Travieso and frustrating for Coca-Cola. Travieso didn’t manage a single shot on goal from the field in the fourth. Nonetheless, they managed to win the chukker 3-1, capitalizing on 5 Coca-Cola fouls that resulted in 3 penalty attempts for Gonzalez. He converted all 3 to give Travieso their first lead in the game. 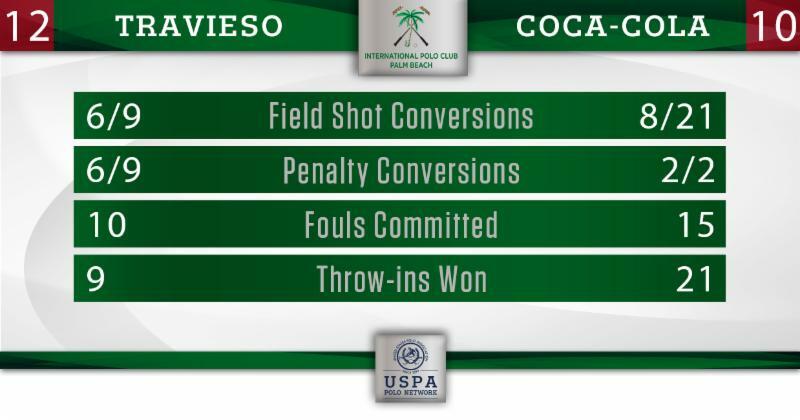 Coca-Cola continued to shoot at goal, shooting 17 times compared to 6 shots for Travieso heading into the final chukker. After Julio Arellano’s third goal of the game got Coca-Cola back within one, Merlos converted back-to-back shots from the field for his third and fourth goals. That pushed the Travieso lead back up to 2 late in the game (11-9). Although all four Coca-Cola players found the scoresheet, they shot 8 of 21 (38%) from the field for the game, missing the opportunities they had throughout the game. 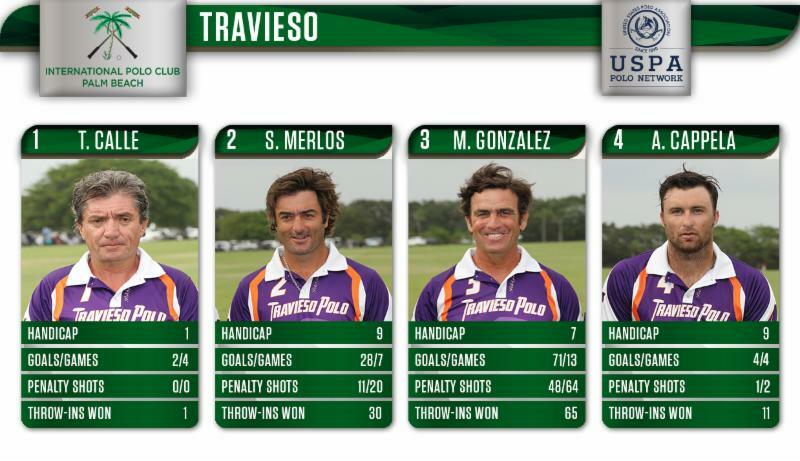 Travieso battled all game long, taking advantage of their 9 penalty attempts and a final run by Alfredo Capella to seal the game and give Travieso the 12-10 win and a spot in the semi-finals.